Learn more about booking your free photo. 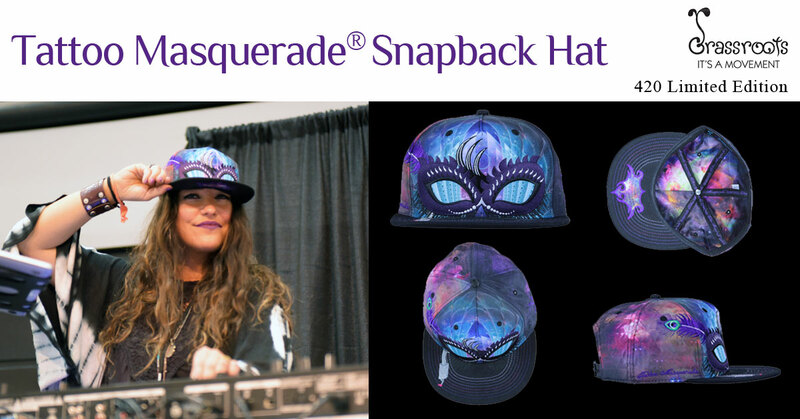 Buy your Grassroots California 420 Limited Edition Tattoo Masquerade® hat! Buy your tickets today and take advantage of our discounted advanced-pricing options! Tickets can be purchased at the box office that will be located across from the Four Seasons Ballroom. Take advantage of advanced, discounted pricing!